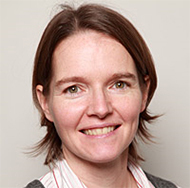 Dr Chasca Twyman BSC (Newcastle), PhD (Sheffield) is Senior Lecturer at the Dept of Geography at the University of Sheffield and Acting Director of Sheffield Institute for International Development (2015). Dr Twyman has a track record of high profile research into human responses to global environmental change and climatic variability, and environmental management and policy, underpinned by extensive social, policy and environmental data collection experience. Research has also focused on strengthening dialogue between the global north and south through the sharing of knowledge and research strategies. Funding has been received from ESRC, ESRC-NERC, DFID and Tyndall Centre for Climate Change Research. Research findings have been disseminated widely in international peer reviewed journals as well as practitioner publications and through policy focused user workshops. Dr Twyman’s most recent grant is for an ESRC Seminar Series Interdisciplinary exchanges: Natural Resource Management Research in the 21st Century (2013-15). Dr Twyman attracts top quality graduates for doctoral research: 15 have been awarded research council funding (ESRC, ESRC-NERC, ESRC-CASE).